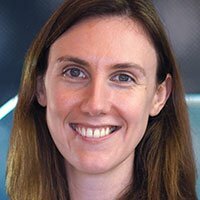 Discovery Communications has appointed Rebecca Kent as General Manager, Australia and New Zealand. In her new role, she reports into James Gibbons, Executive Vice President, General Manager UK, Australia and New Zealand & Head of Commercial Development EMEA. Kent will focus on growing the existing business which consists of eight channels in Australia and six channels in New Zealand. Over the last nine months, Kent has been the acting General Manager of Australia and New Zealand working with key partners and building a new and inclusive culture within Discovery. Previously she held the role of Vice President, Business Transformation & People based in Discovery’s Singapore office where she focused on new ways to grow Discovery’s business across Asia. She also spent three years working for Discovery in London, managing several operational projects including a review of Discovery’s Olympic broadcast plans and a review of Discovery’s India broadcast operations. Kent said: “I’ve really enjoyed managing the Australian and New Zealand markets over these past months and am delighted to take on the role permanently. I’m excited by the local business, the new alignment with the UK and the opportunity to work with James on strengthening key partnerships and driving the ANZ business forward”.